We are proud to announce our partnership with NIWA (National Institute of Water and Atmospheric Research) ahead of this World Earth Day, 22 April 2019. 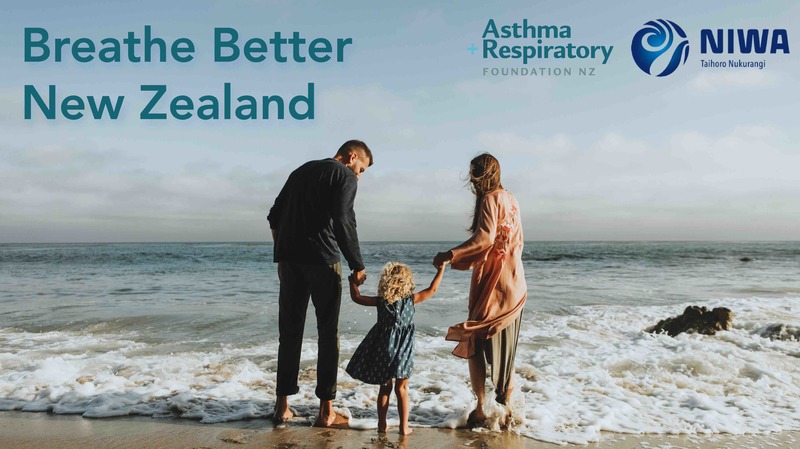 The partnership will aim to provide the latest air quality research to over 700,000 people living with respiratory conditions in New Zealand. Air pollution in the environment can cause and aggravate respiratory diseases such as asthma, chronic obstructive pulmonary disease (COPD) and lung cancer. That's why we are enthusiastic about the opportunity for the asthma and respiratory community to participate in future studies, ensuring that air quality research is relevant and representative of participants that will greatly benefit from its research. To kickstart our new partnership, we are going to celebrate World Earth Day which is an annual event and the world’s largest environmental movement. Join us this World Earth Day, 22 April 2019 and help spread awareness in how harmful effects on air quality in respiratory health.